I'm looking for a group willing to take me for ROTS and/or Raids, hopefully this weekend. For the moment I'm just interested in 1 kill and I haven't done either before, so I can try and fulfill whatever role is needed and doesn't require committing too much to memory. Feel free to message me any time on "Arceuus" in-game or message me on here - if I don't respond right away I'm likely afk in the lobby. Thanks in advance! EDIT: Got them now. May still be interested in kills for the future if anyone comes across this. Mod Scorpio’s giving me an EVIIIL look, so I’d better relinquish my dominion of the KEYBOARD OF CHAOS. See you in-game! We’re also offering up to 75% off selected items in Solomon’s General Store! More details here. What if we told you that tuning in for our live streams every month gets you in-game goodies? Well, it does. Just connect your RuneScape account to your Twitch account and tune into one of our Tuesday or Friday live streams to get some free stuff! This month, we’ve created an all-new LootScape Loot Chest, in which you’ll have a chance to win one of loads of different prizes – the rarest of which this month is the Warborne Behemoth pet. Good luck, and may RNGesus be in your favour! Each week we livestream Q&As, in-game events and more. Watch our streams and find out more information about our streams over on our Twitch channel. Check our YouTube channel too for recap videos of streams you may have missed, including last week’s Content Showcase! The window can now be resized and now adds space between icons. Adding future windows to the ribbon now requires significantly less work. You can now reset your ribbon to the default icons or clear it in one go. Icons added to the bar are now removed from the selection area. The spacing on the options menu (escape key) has been improved. A section for managing windows has also been added. Alongside these changes, we’re also running tests on the tutorial. Half of new players will get the existing tutorial unchanged, while the other half will start with only the settings button on the ribbon, with the inventory, skills and worn equipment windows opened as they’re first seen. These players will also have the default set of buttons activated after the tutorial, where we hope to see players having a less confusing experience and, as a result, fewer players dropping out. We’ve been using some new tools to track which scripts are running in the client in certain situations. Using these, we've been able to identify unnecessary and/or expensive code, investigating what these scripts are doing and then optimising where we can. Client-side spoofing tries to predict what will happen and helps make the bank seem more responsive. When spam clicking to withdraw multiple items, this could get out of sync and cause a well-known ‘tab flickering’ bug. Changes have been made to reduce the likelihood of this error occurring. The way the icons are built when the bank is loaded has changed. This means items should no longer 'pop in' when scrolling through. The efficiency of individual scripts has been generally improved. Measure have been put in place to stop the interface from repositioning everything when no changes have been made to the inventory. In historical cases, and especially on first login, window positioning may have occurred several times. This should now only happen once. By deleting permanent interface components and only building them when required, almost 1,000 components no longer use memory constantly. Overall, we’ve reduced the run-time of these passive scripts by almost 95%. Global transparency was using these scripts, and accounted for a large portion of this. We’ve changed the way it’s implemented, but unfortunately it means we can no longer use the current setting, so all transparency will be set to the default of 50% on login. Several features such as loading screens now stop running these scripts when turned off. Bugs have been fixed which allowed some of these scripts to keep running after they were meant to be finished. After detecting that the game is loading, there is now a half-second pause before triggering a loading screen, avoiding unnecessary loading screens such as when going through doors in barrows. The loading screen now has a disable button, saving new players from having to locate it in the settings menu. Unstable essence has become (slightly!) more stable. For example, it will now show as Runecrafting in the Make-X interface rather than Cooking. It is no longer possible to summon pets inside the Dungeoneering grouping areas. Completing the One of a Kind quest now shows the correct task complete message. Perfect dragon scales (for Vannaka's Slayer challenge) no longer try and drop on non-member worlds. A large number of optimisations have been made to the toplevel interface. 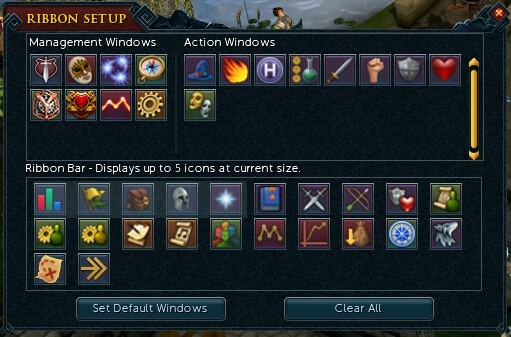 Various optimisations have been made to the bank interface. 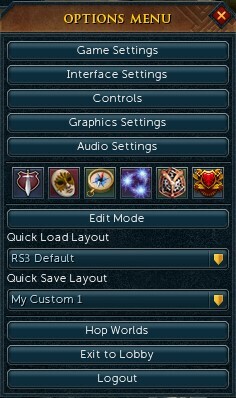 Members can now remove the Extras icon on the ribbon interface. Dimension of the Damned is PvM only, even in the Wilderness. The chance to compete for a place in the Finale ends in ten days, so don’t delay. You’ll also be able to see how the Jmods fare in Dimension of the Damned during Tuesday’s live stream! Details below. Note that Dimension of the Damned is only available in NXT - Click here to download the client! Do you watch our live streams? No? Why not? This month we bring you LootScape, an all-new way for you to get yourself some awesome in-game goodies by watching our live streams every month. Just connect your RuneScape account to your Twitch account and tune into one of our Tuesday or Friday live streams to get some free stuff! First up in our goodie bags for all of you is the amazing Twitching Orb pet – you’ll be able to claim it in any of our Tuesday or Friday streams throughout October; this week, you’ll be able to claim your pet on Tuesday’s stream. See you in the top 1,000? Each week we livestream Q&As, in-game events and more. Watch our streams and find out more information about our streams over on our Twitch channel. It’s a case of survival of the fittest (or the least rubbish). Join a team of unsuspecting JMods as they each try to kill as many zombies (and die as little as possible) in an hour. How will you compare to them? The hair colour for several NovtumberFest NPCs has been fixed. The Warden of the Mind cape now appears in the preview window. Players carrying only one defender in their backpacks will no longer have their Warrior's Guild progress with Kamfreena reset. Antifire, weapon poison, aggression potion and wilder pie effects no longer stay active on free worlds. Free equipment from combat rooms in player-owned houses can no longer be disassembled. Players can now use a right-click fill all option on the Divine-o-matic Vacuum. 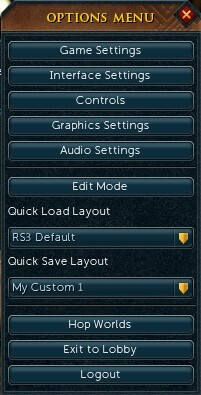 Players can now define their maximum foreground and background FPS in the NXT client via the graphics settings interface. The click radius on a player when using the Completionist & Trimmed Completionist emotes has been reduced to the same size as the normal players' click box area. The NovtumberFest host Johanna no longer shouts 'Thanks!' during cart events. The NovtumberFest bar crawl dialogue no longer obstructs quest dialogue. The stats of the highwayman near the makeover-mage have been updated to match his pre-Mega May incarnation. The cache churn has been reduced. Pointlights now affects terrain lighting in instances. The high frequency noise visible on newer (normal-mapped) models when viewed close up has been reduced. The RAM usage in the shader system has been reduced by around 20MB. Some animation states have been optimised. 09/10, 11:00 UTC: Players with 100 filled keepsake slots can now log in consistently. 09/10, 13:20 UTC: Players can no longer get trapped within the NovtumberFest ogre activity. 09/10, 13:20 UTC: NovtumberFest random event messages have been added to the game spam filter. 09/10, 13:30 UTC: All NovtumberFest activities now give charity tokens. 09/10, 17:15 UTC: Wolly Wolpertingers no longer delete themselves when picked up. 09/10, 17:15 UTC: The Chaos Elemental's F2P drop table has been improved. 09/10, 17:15 UTC: The drop rate of mystic cloth from ankou has been reduced. 09/10, 17:15 UTC: The Giant mole now drops a minimum of three mystic cloth (to potentially be shared between three players). 09/10, 17:15 UTC: Members item drops on Young grotworms have been replaced with five bronze javelins, two trout or two anchovies. 09/10, 17:15 UTC: Green dragons now drop two lobsters on free worlds. Like Blue dragons, they no longer drop the bass. 09/10, 17:15 UTC: Cyclopes in the Warriors' Guild can no longer drop dragon defenders on free worlds. 09/10, 18:45 UTC: Members can now pick up cats. 09/10, 18:45 UTC: Lapsed free players can now call and/or dismiss their followers after dropping a cat or a kitten. 11/10, 13:25 UTC: The Evil Tree D&D now resets correctly for free players. 11/10, 13:25 UTC: The Evil Tree and Shooting Star D&D buffs now restart correctly upon logging in on a free world. 12/10, 10:15 UTC: Newly-bought auras can now be activated. 12/10, 15:20 UTC: Nex: Angel of Death no longer switches target after using a special attack. The artefact at the Edgeville wilderness wall that teleports to the King Black Dragon lair can now be activated on free worlds. The cost of mystic armour has been lowered to rebalance its alch value. The cost of mystic cloth has been increased to reflect the value of mystic armour. The examine option for the museum guard where the Varrock east fence used to be has been updated. Updated models have been added for carapace, spider, wizard and black wizard shields, as well as black wizard gloves and boots. Wearing a splitbark body will no longer hide a players amulet. The loom in the Falador cabbage patch can now be used on free worlds. Blurite ore can now be smelted into blurite bars on free worlds. The dropdown menu titles for batwing and carapace have been corrected when using the Crafting make-x interface. Fire runes are now given instead of blood runes and soul runes when dungeoneering on a free world. Baby dragon bones are now non-members objects. Kamfreena in the Warriors' Guild no longer tells free players that they can get dragon defenders from the cyclopes. Fire giants now drop batwing wands or books instead of fire battlestaves on free worlds. Yew trees are now correctly marked as non-members in the Woodcutting skill guide. A segment of the east Varrock fence near Tolna's rift that survived the purge has been eradicated with extreme prejudice. Logging into a free world inside the Mage Training Arena will now teleport players outside of it. This week we introduce a tome's worth of content additions for new players, including Fletching, quests, armour and more (scroll down). You'll also be able to take part in our new seasonal in-game event. Russet leaves are falling where the Beach Party once thronged, and the inhabitants of Lumbridge are taking their gloves and scarves out of storage for another brisk, autumn season. Be that as it may, no amount of wind and cold can dampen their spirits. They're ready to celebrate once more – it's NovtumberFest! Heady pints and eye-catching lederhosen abound for the next four weeks in this latest skilling extravaganza. You'll be able to train an agglomeration of skills – from slayer to prayer, farming to summoning – with no entry fee and no XP cap. More the roaming, lone wolf type? Keep an eye out for Gunther's cart, which will be running into trouble every three hours in free-to-play areas. XP will flow for the adventurer who helps him out! Rewards? Of course there will be rewards! Aside from the opportunity to train with your friends in style, we're offering a selection of NovtumberFest-themed pets, anims, outfits, gear and a 'Party Animal' title to those who give it their all – free players included. Yeah, you read that right. We're opening up a truckload of content to free players. Because, unlike those jumbo multipacks of chocolate, RuneScape is something that's genuinely better shared. This is also just a summary of the changes, full details of which can be read in this week’s patch notes. Now that's said: if you're happy and you know it, show the Ninja team some love! This week's patch notes are some of our meatiest yet, with a whole tome's worth of content from the ninja team. Seriously, we've had to restructure it to keep it from being one, giant wall o' text. You can read it all here on the forums thread. First up in our goodie bags for all of you is the amazing Twitching Orb pet – you’ll be able to claim it in any of our Tuesday or Friday streams throughout October. So stay tuned for what we have planned for you next week! Each week we livestream Q&As, in-game events and more. Watch our streams and find a full streaming schedule over on our Twitch channel. Check our YouTube channel, too, for recap videos of streams you may have missed, including all the talks from from RuneFest, from both the Varrock Stage and Circus Stage. The issue preventing retro skillcapes from activating has been resolved. Lau'ra's chathead now consistently animates while speaking to her. The measure of progress for blueprint discovery has been improved with the addition of 'Very Good', placed between 'Good' and 'Excellent'. Players now stop pulling prawn crackers once they are destroyed. Green, blue, red, black and royal dragonhide boots have been added, available in a similar manner to the corresponding vambraces. Basilisk, turoth and kurask boots are now power armour instead of tank armour, to differentiate them from dragonhide boots. Hard leather cowls and chaps have been added to complete the hard leather set of armour. Conversation options on sawmill operators have been rewritten to loop back to the start of chat. Limestone bricks and mystic armour have been added to the Crafting skill guide. Studded leather can now be found in the leather crafting category. The soft and hard leather sets can now be purchased from: the gnome shopkeeper in Burthorpe, Lowe's Archery Emporium in Varrock and the Ranging Guild. The latter two also sell the studded leather set. The carapace armour set now includes a capapace shield. The spider silk armour set now includes a spider silk shield. Players can now craft a black strip of cloth from balls of black wool. Neither strips or balls are destroyed once dropped. Sheared sheep now take drastically less time to regrow their wool. The sheep in south-east Taverley no longer wander from their pen. A herd of black sheep has assembled between the Dark Wizards' Tower and the Makeover Mage's house. Strips of cloth now require two balls of wool instead of four. Wizard armour can now be crafted from strips of cloth, as can the wand and book. Black wizard armour can now be crafted from strips of black cloth. The wizard armour set has been completed with a set of level one wizard boots, which have been added to the same drop table as the wizard gloves. The level 20 wizard boots have been redubbed as the 'Wizard boots (t)' for the sake of clarify. Black wizard gloves and boots have been added to the black wizard armour set. Wizard (and black wizard) shields have been added and can be crafted by free players. The wizard, black wizard and imp hide magic armour sets can now be purchased from: the gnome shopkeeper in Burthorpe, Zaff's Superior Spellcasting in Varrock and Betty in Port Sarim. The latter two also sell the spider silk set. Shields in the Defence skill guide have been moved into a Shields sub-category. The cutscene in which Sten demonstrates how to make Artisan's Workshop tracks and burial armour now correctly fades in from black. Players can now speak to Suak in the Artisan's Workshop to find out how many pieces of burial armour are still needed by Doric. Mystic cloth has been added to the drop tables for regular and elite Ankous, the Giant Mole, the King Black Dragon and the Chaos Elemental. Blue mystic armour on drop tables has been replaced with an equivalent amount of noted mystic cloth. Fletching is now a free to play skill! Free players can now fletch equipment with wield requirements up to level 50: bronze, blurite, iron, steel, silver, mithril, adamant and rune crossbows, arrows, darts and bolts (up to diamond bolts inclusive); normal, oak, willow, maple, teak, yew and magic shortbows and shieldbows, and up to bovistrangler in Daemonheim. The exception is when such equipment is either locked behind members' content or situated outside of the free to play area (such as smithing dart tips, which requires Tourist Trap). Free players can now pick and spin flax into bowstrings. Free players can now spin sinew into crossbow strings. Free players can now cut gems, from opal through to diamond. Free players can now craft mithril grapples. Teak logs, mahogany logs and magic logs are now free to play objects. However, some trees can still only be found in members' areas. Green dragonhide, green dragon leather, blue dragonhide and blue dragon leather are now free to play objects. The smuggler in Dungeoneering can now sell bowstrings to free players. The Fletching pet, Flo, can now be acquired in free worlds. The special effects of the Woodcutting outfit (burning logs for Firemaking XP and fletching logs for Fletching XP) now work in free worlds. Evil trees are now free to play. As such, the the Woodcutting outfit can now teleport to (but not spawn) evil trees in free worlds. Dungeoneering equipment up to and including T50 (Zephyrium, Bovistrangler, Spinoleather, Duskweed, Empowered Water staff) is now equippable and craftable by free players. Dungeoneering T60 equipment (Argonite, Thigat, Gallileather, Soulbell, Empowered Earth staff) isn't craftable for free players, but is still equippable and can potentially be acquired through drops. The Icy Bones dungeoneering boss can now drop throwing knives for free players. The games necklace possesses a teleport to Agoroth when A Shadow over Ashdale is completed. A filtered message has been added to display points added to the currency pouch when defeating animated armour in the Warriors' Guild. The anger mace from A Soul's Bane is now wielded and named as a two-handed maul. The anger axe has also been made two-handed to better suit the model. Cosmetic overrides for the anger sword, anger battleaxe, anger maul and anger spear can now be unlocked by completing the A Soul's Bane quest. The skill checks in Perils of Ice Mountain are no longer boostable. The member skill level requirements for Perils of Ice Mountain have been reduced from 10/11 to 5 to accommodate the member skill cap for free players. The XP reward for completing Perils of Ice Mountain is now given in the form of a lamp. A quest accept window has been added to Perils of Ice Mountain. During Gertrude's Cat, only the crate containing Fluff's kittens will jiggle, and only once Fluffs has been fed. A list of recommended quests has been added to the accept window for Missing, Presumed Death. The quest information for Death Plateau no longer asks for a pickaxe, since all players now possess this in their toolbelts as a default item. Count Check has resumed his residence of the Stronghold of Security's first level. Players who have upgraded their security settings should seek him there to claim rewards. Customer Support week clue scrolls and scroll boxes have been tidied up, with the exception of unopened caskets. Balthazaar has taken his raffle to pastures new once more. The healing area at the Grand Exchange is now larger. The area at the Grand Exchange that hides familiars is now smaller. The Tuska Warpriest's armour effect will now only work when three or more pieces are equipped. Changing the elite void armour colour will no longer replace keepsaked superior elite items with non-superior versions. The entire Lava Maze has now been restored to single combat only. The client no longer crashes when the window header is placed over the ribbon in edit mode. Players can now map a keybind for the Achievement Tracker and Achievement Paths. These can be found under Windows and Navigation in the Controls settings. Machetes now display correctly in the toolbelt when selected. Improved likelihood of receiving low chance components when auto-disassembling while logged in, to better match chances with regular disassembly. 02/10, 11:15 UTC: The lodestone interface now functions correctly regardless of whether the action bar is locked or unlocked. 02/10, 12:45 UTC: The Defender of the Mind outfit has been restored to players who had already unlocked it historically. 04/10, 13:55 UTC: Attempting to target a lodestone icon (through disassembly, for example) no longer causes a disconnect. Free players can now pass through the high-risk Wilderness wall, which remains intact. The wander range of the Chaos Elemental remains unchanged. Blue dragons have been added to the Wilderness north of the Forgotten Cemetery to provide a source of blue dragon hide for free players. Red dragons now drop between one to eight rune darts. Eight is no longer guaranteed. The deep wilderness is now accessible to free players, as is the deep wilderness dungeon (accessed south of the Pirates' Hideout). The south-east corner of the Wilderness (west of the Morytania Slayer Tower and north of Silvarea) is now a free area. The Mage Arena cave (accessed from a lever north-west of the Mage Arena) is now accessible to free players. Gundai the banker and Lundail the rune seller are now visible on free worlds in the Mage Arena cave. However, Kolodion is not visible. Free players can now use the lever in the Deserted Keep to teleport to Edgeville. Members using the lever are still teleported to east Ardougne. The lever in Edgeville that teleports players to the high-risk Wilderness is no longer blocked in free worlds. Green dragons are now available for free players. William and Ian cannot access free player banks in the Wilderness. Red dragon isle is now accessible to free players. Red dragonhide is now accessible to free players via red dragons. However, it still cannot be tanned, crafted into leather or equipped on free worlds. In free worlds, Blue dragons no longer drop the bass. They drop lobsters instead. The Chaos Elemental is now accessible to free players and has its own free to play drop table. The boss pets for the Chaos Elemental, Giant Mole and King Black Dragon can now drop in free worlds. However, the King Black Dragon boss pet still has a 99 Summoning requirement. The Last Riders book now drops from the King Black Dragon in free worlds. Achievements for the Chaos Elemental, Giant Mole and King Black Dragon no longer display a member requirement. The following quests are now all available to free players: The Perils of Ice Mountain, Gertrude's Cat, Priest in Peril, A Soul's Bane, Missing, Presumed Death, Song from the Depthsand Broken Home (although the Asylum Surgeon's ring reward remains members only). Remora's necklace, the coral crossbow and coral bolts, the first level of the grotworm lair and the royal cape dropped by young grotworms are now all free to play. Kittens (from Gertrude's Cat) are now free to play. They can grow into cats, become overgrown, and can even become a purple cat upon completion of Swept Away. 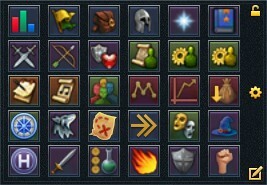 Free players can now complete the Varrock achievements to choose the colour of their kitten. They can also obtain a cat training medal from Gertrude by killing 100 rats. Swept Away's post-quest content (excluding the Sorceress' Garden and members area rewards) are now available to free players. The first four tasks from Doric and Boric after What's Mine Is Yours are now available to free players. The Shooting Star and Evil Tree D&Ds are now available to free players. The Warriors' Guild in Burthorpe is now available to free players. The area south of Paterdomus and north of the Duel Arena is now available to free players. The members fence east of Varrock has been removed to allow unrestricted access to Silvarea (the area east of the Lumber Yard up to and including Paterdomus). The eastern border of the free area is now defined by the River Salve. The barrier east of the Mage Training Arena has been removed. The fences and blocking between the Mage Training Arena and the Exam Centre have been removed. Free players can now enchant, wear and trade sapphire jewellery including the ring of recoil, bracelet of clay and the games necklace (sans teleport) in addition to the amulet of magic. Free players can now pay a sawmill operator to convert regular logs into planks. Coifs can now be crafted by free players, and have been redubbed as Studded leather coifs. They can be crafted by adding studs to a leather cowl. Free players can now smith bronze, iron, steel, mithril, adamant and rune pickaxes after completing The Perils of Ice Mountain. Free players can now smith all blurite items following Knight's Sword. Free players can now smith crossbow limbs up to runite. Free players can now craft T50 mystic armour from mystic cloth. Limestone, crafting limestone bricks and even the humble 'rock' are now available to free players. The Empowered Water Staff can now be dropped by Unholy Cursebearers for free players in Dungeoneering. A confirmation prompt has been added when free players upgrade or try to use lodestones in member areas. Bronze and iron nails are now available to free players, as are saws and bracelet moulds. The pestle and mortar, rake, seed dibber, gardening trowel, secateurs, rod clay mould, sextant and seedicide now correctly reflect their free status in the toolbelt. Although inaccessible, the bottom section of the Shattered Worlds entrance in Lumbridge Swamp has been marked as a free area to better mark the perimeter. Death Plateau has been marked as a free area so it can be seen on the world map to aid navigation while playing the eponymous quest. It still requires 15 Agility. The Odd Old Man is now visible in free areas for the sake of Missing, Presumed Death. Hura's crossbow shop can now be accessed by free players. Strange fruit can now be eaten in free worlds, and can be obtained by defeating the Chaos Elemental. Free players can now bury dragon bones for Prayer XP. Looms can now be used by free players. The strip of cloth used in Regicide (crafted from balls of wool) can now be spun in free worlds. The required Crafting level has been reduced from level ten to level one. The default loot beam option is now the initial option for new players. The maximum total level milestone message for F2P has increased from 1656 to 1750 now that Fletching is a free skill. The following errors in the skill guide have now been corrected: free players can stop burning rabbit at cooking level 34; Marrentill is now marked as members only; the wooden shield, salve, protoleather and novite armour in Daemonheim have been added at Defence level one, as well as soft leather armour; the tangle gum shortbow and longbow, the novite arrows and protoleather equipment in Daemonheim are now accessible at Ranged level one; mentions of wizard, imphide, spidersilk, batwing, splitbark, mystic and grifolic shields have been removed from wand/orb/book entries, since shields only require Defense. Recovered from Double XP Weekend yet? Not so fast. Invention batch 2 launches today, so there's oodles still to sink your teeth into. Make way, make way! Invention batch 2 has arrived, and with it, some eagerly awaited additions and tweaks to our youngest skill. Let's start with the big'un: machines. Brand new to Invention, these can be used to automate a selection of tasks slowly over time, even while you're offline. All you need to do is keep your generator topped up with divine charge. Talk about AFK. The Alchemiser, which bestows your items with the gift of high alchemy, turning them to gold. The Auto Disassembler, which breaks down your items into useful parts and components. The Plank Maker, which turns your common or garden logs into beautiful planks. The Partial Potion Producer, which whizzes up your herbs and pops them into vials. It won't make a complete potion, but it's a welcome time saver. The Automatic Hide Tanner, which...yeah, you guessed it. It tans your hides to make leather. The Separator, which removes gizmos from your equipment without damaging it (equipment must be at least level 15). The Divine-O-Matic, which harvests energy – and memories if you're so inclined – while you train Divination and turns them into Divine Charge, which you can use to power your shiny, new machines. Another thing: we've nabbed the Spring Cleaner and the Tight Springs from Treasure Hunter and added them to our growing device range. Both can be constructed at an Invention workbench – but first you've got to discover the blue prints! We've removed inspiration. Gone. Finito! You can now hide the cogs on your augmented equipment (outside of PvP, anyway). We reworked the 120 Invention emote to make it harder, better, faster, stronger. Don't worry, it hasn't escaped our notice that all this is happening after Double XP Weekend. You'll still be able to get the 50% XP boost from blueprint discovery for the next two weeks. The patch notes for this week are on the lighter side as the team has collectively focused on delivering Invention batch 2. You can read them in the patch notes thread. We hope you enjoy your new playthings. Now go get tinkering! Each week we live stream Q&As, in-game events and more. Watch our streams and find a full streaming schedule over on our Twitch channel. Check our YouTube channel, too, for recap videos of streams you may have missed, including last week’s Unfinished Business Q&A. It’s finally here. The biggest RuneScape celebration of the year will be live from Battersea Evolution in London – and you’re cordially invited to watch the whole thing as it happens. Expect epic reveals, the coveted Golden Gnome Awards, and the chance to find out all the information on our plans for the future of RuneScape. We have a full suite of live streams, covering both stages this year – check the schedule for details – so make sure you have your alarms set for your favourite sessions! We’ll be streaming the Varrock Stage on our Twitch account, and the Circus Stage on YouTube (kicks off at 11:00 UTC). We’ll also have a special feature this time round – a YouTube multicam set up, so you can switch between multiple cameras stationed at the event. Make sure you’re checking in on our Twitter and Facebook accounts throughout the day as well for exclusive behind-the-scenes interviews and tours of the venue. We truly want this to be your RuneFest, and to bring the entire RuneScape community together, so make sure you’re tuning in from 09:15 UTC! Invention tools now work in Clan Skilling Plots. Boss collection achievements will now unlock correctly across the board. The achievement pop-up for completing Our Man in the North now displays the correct quest title. The Lumbridge Strikes Back achievement now specifies that you need to kill both Araxxor and Araxxi. Bronze crossbows and the bronze halberd can now be used to complete the Lumbridge Strikes Back achievement. 11/09, 15:07 UTC: Catching a single creature in the private hunting ground no longer deletes multiple tickets. 12/09, 15:32 UTC: The Ultimate Quester title is now only available to those who have completed all the quests. 12/09, 16:19 UTC: Lumbridge Strikes Back will now register the use of bronze equipment throughout the duration of the fight. 13/09, 11:29 UTC: Clan avatars no longer unintentionally skull players. The refactored chat system is now more efficient. Memory usage has been reduced by approximately 70MB. RAM usage of the script system has been slightly reduced. The disk cache/loading performance has been optimised, especially in the case of non-SSDs. Various minor CPU optimisations have been put in place.